Every new iOS version brings brilliant new features, however, it will also bring you some problems. Many people who have upgraded to iOS 11/12 have reported data loss: “I lost my data including contacts and messages from my iPhone 6s Plus after updating to iOS 11. Is there any way to get back my lost data from my iPhone?” Don’t worry, the answer is yes. 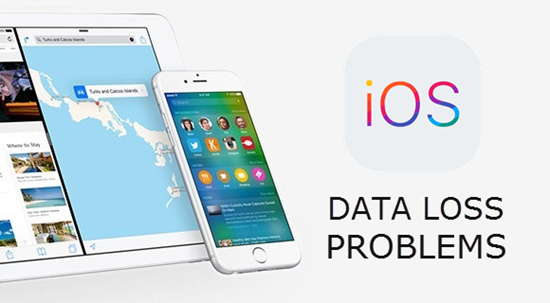 Here this post will discuss how to recover lost data from iPhone/iPad after iOS 11/12 update. If you find your data lost or disappeared after iOS update, and you have made an iTunes or iCloud backup previously, you can easily get lost data back by restoring iOS device from backups. Open iTunes on your PC or Mac and plug in your iDevice with a USB cable. 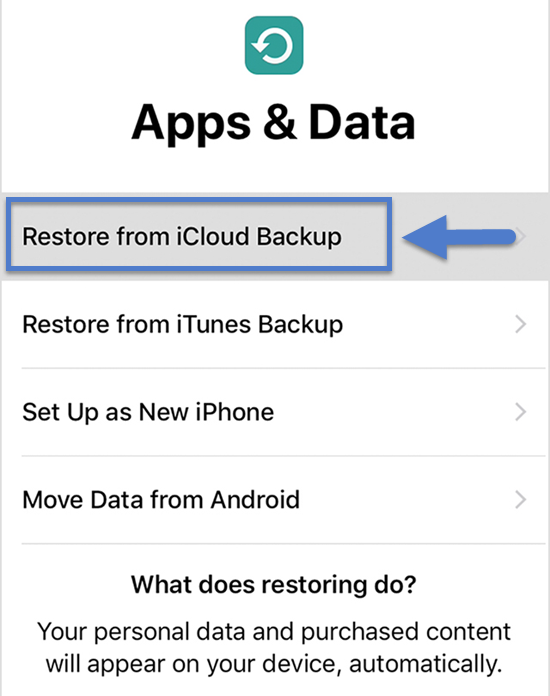 Click on iPhone icon and go to Summary, then choose “Restore Backup”. Select the backup file you want to restore from and press “Restore”. On your iPhone or iPad, go to Settings > General > Reset, and then “Erase all content and settings”. Set Up with the onscreen instructions until reach the Apps & Data page, and tap “Restore from iCloud Backup”. Sign into iCloud with your Apple ID and choose a backup. Stay connected to a Wi-Fi network and wait until process finished. Restoring iPhone, iPad from iTunes or iCloud backup is very easy, but you should know neither iTunes nor iCloud permits preview and restore data selectively. Plus, it will wipe all existing data on iDevices to restore backup, which may result in new data loss problems. Step 1: Run the iPhone Recovery software on your Win PC or Mac and choose the data you want to recover. Step 2: Connect your iPhone or iPad to the computer and let the program scan your device (or you can retrieve data from iTunes backup or iCloud backup). Step 3: After that, preview and select the data accordingly. Then click “Recover” to save the lost data to your computer. 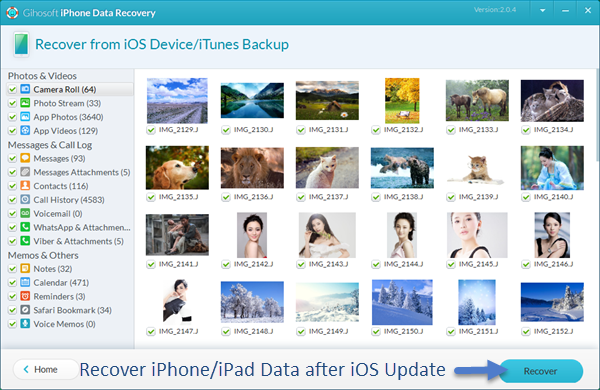 Note: If you don’t want to restore whole phone but just part of it, you can extract certain data from iTunes or iCloud backup by using this iPhone Recovery freeware, and you also can easily recover deleted messages, contacts as well as other data from iPhone or iPad.